We’re in the business of connecting companies with their customers. More specifically, we help our partners by developing innovative digital strategies to effectively reach their customer base and create meaningful impressions with their target audience. Our services range from e-commerce development, to web design, to launching social media marketing campaigns to make sure that your company is fully leveraging its online presence. Though our focus is oriented around the success of our business partners, we value any opportunity for us to advance and make our mark in the digital marketing industry. That is why we are incredibly proud to announce that we have recently been included among the leading social media marketing companies in Columbus by Clutch, a ratings and reviews site based in D.C.! Clutch’s platform is comprised of thousands of different agencies in various tech fields. Each company on their platform has a designated overall company rating which indicates their level of performance and customer satisfaction. Included in our Clutch profile is our average ratings, key company metrics, and reviews from our past clients. Providing optimum services for our partners is our primary objective, and having such a positive position on Clutch based largely on their feedback is especially rewarding. In addition to having a profile on Clutch, our positive reviews have allowed our recognition to continue on their sister-websites, The Manifest and Visual Objects! These sites list us among the top email marketing agencies, and provide specific examples of our past work. 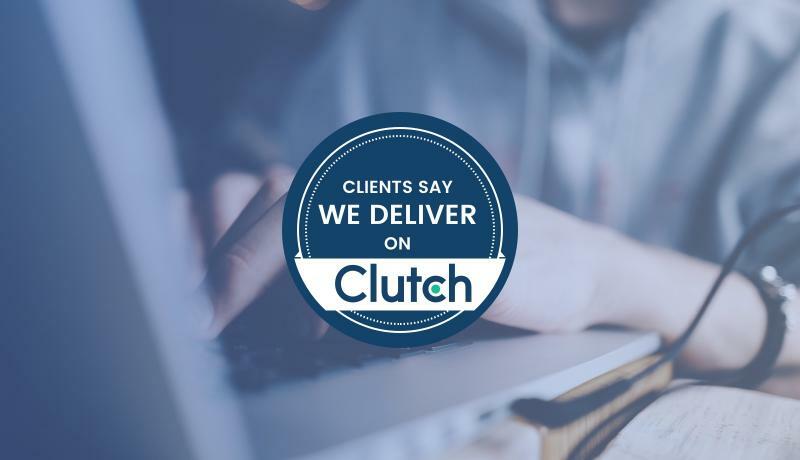 We are among some of the best marketing firms in the world on Clutch, and we look forward to climbing the ranks in the near future and competing with the best firms that the industry has to offer. The importance of having a successful digital marketing strategy continues to grow year after year. More companies are relying heavily on e-commerce to support their business, and are utilizing digital marketing to reach their customers. Our positive reputation and rapid advances as a marketing agency are due to our ability to help our partners grow their businesses online. Let’s get started today on a new project that will get you closer to your goals!